You'll be £9.99 closer to your next £10.00 credit when you purchase Doncaster in the Great War. What's this? How the experience of war impacted on the town, from the initial enthusiasm for sorting out the German kaiser in time for Christmas 1914, to the gradual realization of the enormity of human sacrifice the families of Doncaster were committed to as the war stretched out over the next four years. A record of the growing disillusion of the people, their tragedies and hardships and a determination to see it through. During the early part of the 20th century, Doncaster was really beginning to thrive, making a great name for itself in locomotive manufacture, and forging a fine reputation for coal mining on the edge of the Barnsley seam. This book documents daily life in all its grit and grandeur immediately before, during, and after the greatest war that mankind had ever known. It is the story of families' torn apart, mines and factories depleted and orphaned children running amuck. This detailed work allows us to experience all the emotion, devastation, and pride that each and every inhabitant felt in Doncaster during the Great War. As seen in the Yorkshire Post and Bradway Bugle. We look at recruitment efforts during the war and fund raising events, the way in which the news of deaths arrived and the memorials that took place during the war. There is a good use of contemporary documents and pictures, which give us a good feel for the period. 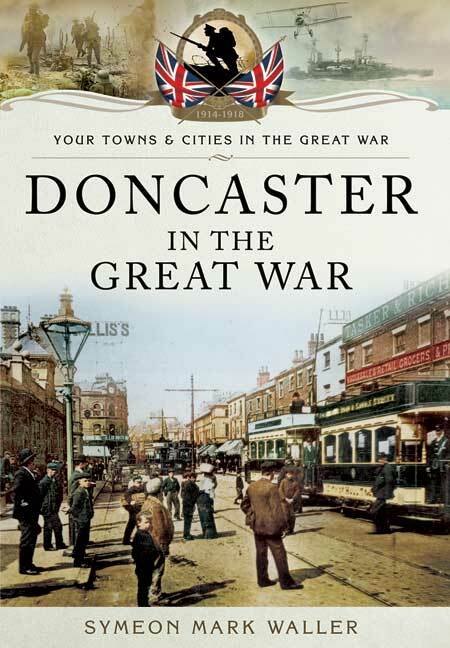 Overall this will be of value for those with an interest in the history of Doncaster. Symeon Waller has been writing small publications for 5 years now including articles for parish magazines. He has a keen interest in the social history of Doncaster and an even greater interest in the towns fine architecture. A family man, he works part-time as an undertaker, spending the rest of his time devoted to promoting the history and heritage of Doncaster.